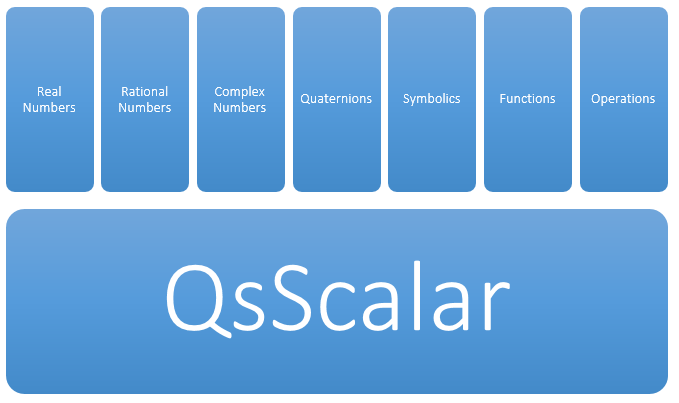 Scalar quantitiy can be instantiated by simply typing variable = value<unit> if you omit the unit part then the quantity is dimensionless quantity. The scalar quantity has 6 sub-types of values that is supported in quantity system as a first citizen. Quaternions are also supported and its prefix is H . The quaternion has a real number and three additional numbers i,j, and k.
Second method is to enclose a symbolic value expression between brackets as shown before in the case of rational, and quaternion subtypes. An important feature in quantity system is the ability to treat the functions as if they are variables. Declaring Scalar Functions can be made by two ways. Functions acting as a scalar value can be also be called like real functions by invoking indexing typing my_f[3,5] will get the required result. Another unique scalar sub-type is being the operation type. This type defines and operation that can take action into calculations currently the operation introduced is the differentiation operation. differentiation operation starts with @| followed by the variables that we wish to differentiate with respect to.